Arms firms from around the world will descend on East London next week for the 2015 Defence Security and Equipment International (DSEI) exhibition. RT takes a look at this year’s big vendors peddling their wares. In the 21st century, manufacturing death is still a thriving business. With the world’s biggest arms fair taking place in London next week, dozens of weapons companies will descend on the capital to sell their latest tools of destruction. Global wars have become far more deadly in recent years, despite the overall number of conflicts falling. Wars being fought in Syria, South Sudan, Afghanistan and Iraq are extremely violent partly due to the proliferation of increasingly destructive guns, tanks, fighter jets and drones. RT takes a closer look at this year’s merchants profiting from war. With net sales for 2014 totaling $45.6 billion, US-based Lockheed Martin is the largest arms company in the world. Lockheed received $22 billion in contracts from the US Department of Defense alone in 2014, roughly 9 percent of all contracts awarded by the Pentagon. Lockheed has weathered several high profile scandals since its founding in 1912. The company was caught bribing Japanese Prime Minister Kakuei Tanaka in 1976, a revelation which forced his resignation. Last month the company paid $4.7 million to the Justice Department to settle charges it won a lucrative contract by paying a former US Representative-turned-lobbyist with taxpayer funds. 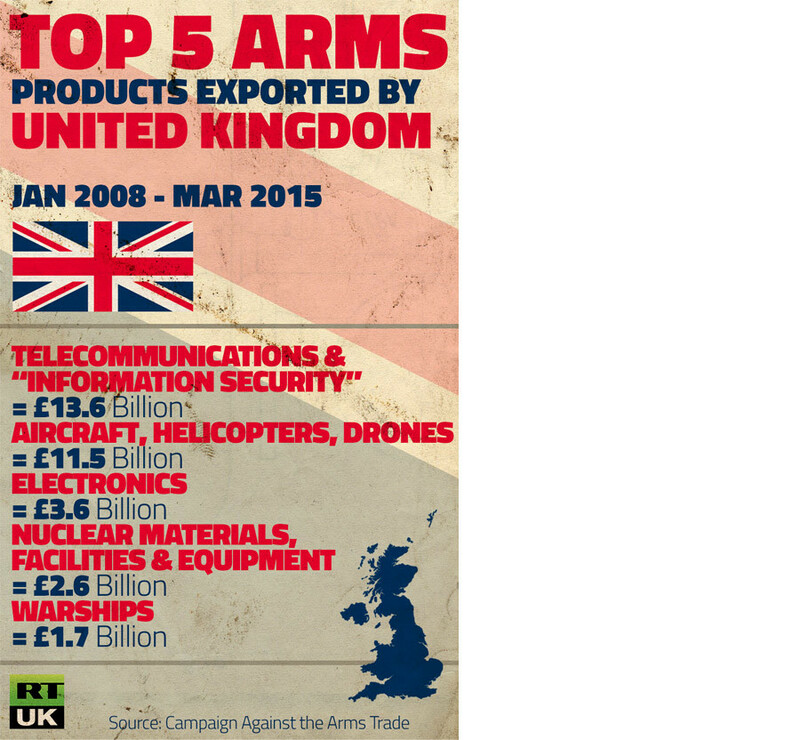 The third largest arms producer in the world, BAE Systems is a FTSE 100 company which posted a £16.6 billion (US$25.6 billion) turnover in 2014 and a £0.75 billion profit. The UK-based firm has military customers in over 100 countries. 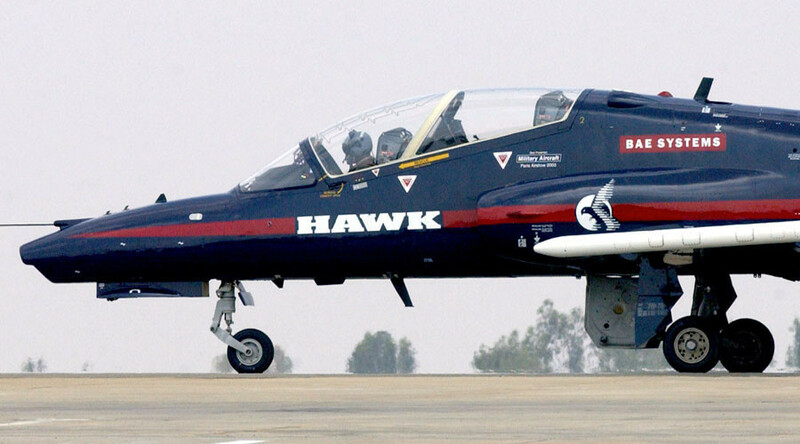 BAE came into existence when British Aerospace merged with Marconi Electronic Systems in 1999. The company manufacturers everything from fighter jets to aircraft carriers and has recently shifted its focus to cyber security. BAE’s customers include the militaries of Saudi Arabia, Bahrain and Egypt – three countries known for their authoritarian regimes and, in the case of Saudi Arabia, aggressive foreign policy. Few people have heard of Finmeccanica, yet the firm is the ninth biggest arms company in the world. Part-owned by the Italian state (30 percent), Finmeccanica had a turnover of €15.62 billion (£11.37 billion) in 2014 and a profit of €20 million (£14.57 million). Despite its Italian roots, Finmeccanica is well established in the UK having acquired Westland Helicopters. In April, Italian police announced they are investigating the firm for suspected corruption in the sale of helicopters to Algeria. An Italian court handed senior Finmeccanica employee Giuseppe Orsi a two-year suspended sentence for false bookkeeping last year, but acquitted him of bribery charges. This UK-based company is ranked 68th in the top 100 arms producing firms, according to the Stockholm International Peace Research Institute. Chemring is listed on the London Stock Exchange and had a turnover of £474 million in 2014 and a profit of £54.9 million. Although it’s not as big a player as BAE, Chemring is still a major producer of munitions, counter-IED systems and crowd control products, such as smoke grenades. During the Arab Spring, plastic bullets and gas grenades made by Chemring were used against protestors by Kuwaiti and Egyptian security forces. They also arm Predator and Reaper drones, used by the CIA in controversial assassinations.